sound greedy but I would also love her Tusch pilow too! Thar is seriously beautiful! So jealous! Those mountains are too cute. 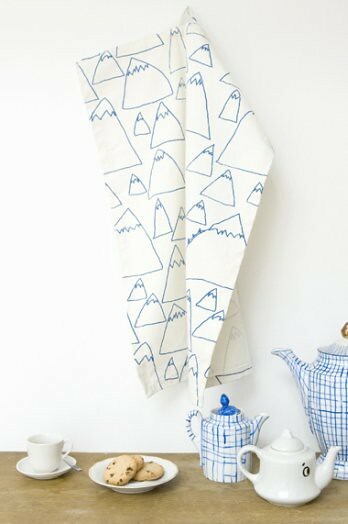 if you love tea towels, you've surely heard of skinny laminx - she has some lovely ones. i bought a few and fon't want to use them! 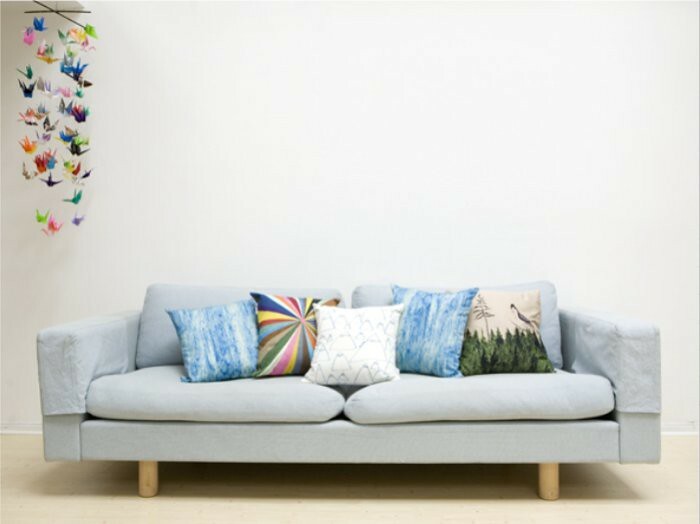 it's such a great print- love it in pillow form as well! i love all of these! the tusch pillow may be my fave. what a sweet print! 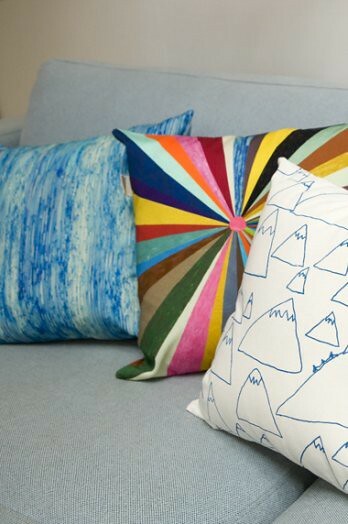 i have more of a weekness for pillows and will have to check out these lovely ones! Beautiful pillows! Looks like such a comfy place!